We have just been advised that Jr Firefighter Colin Flanagan has achieved his Eagle Scout! 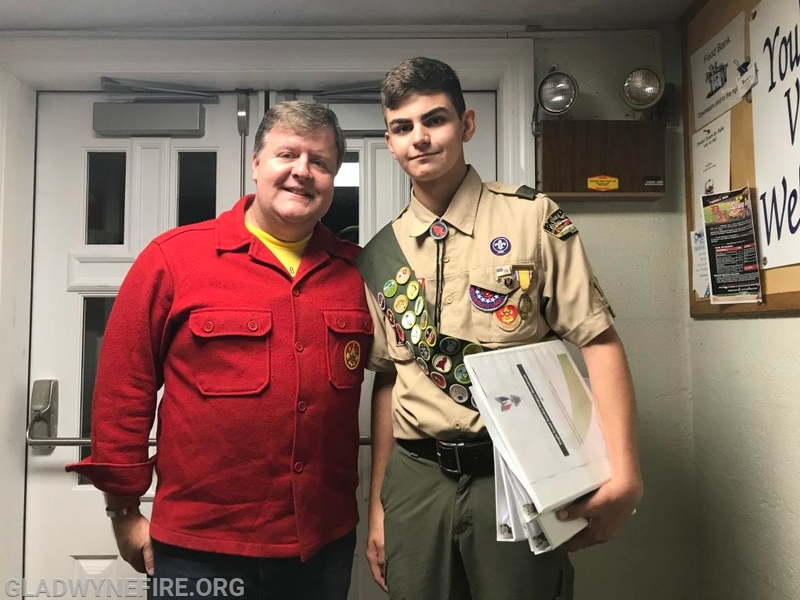 Colin has been working on this prestigious achievement for several years now and most recently worked on several upgrades at the firehouse for his final project. We are all very proud of Colin and wish to congratulate him and his family for this amazing accomplishment.